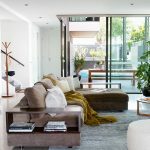 A West End home redesign by Marc&Co Architects and MCD Construction reinvents Queensland living without overstating its modernity. The Australian dream: marriage, 2.5 children, car, house in the ‘burbs. It’s somewhat out of reach these days, or at least it feels like it at times – so when the opportunity presents itself, you want it to be good. Perfect, even. 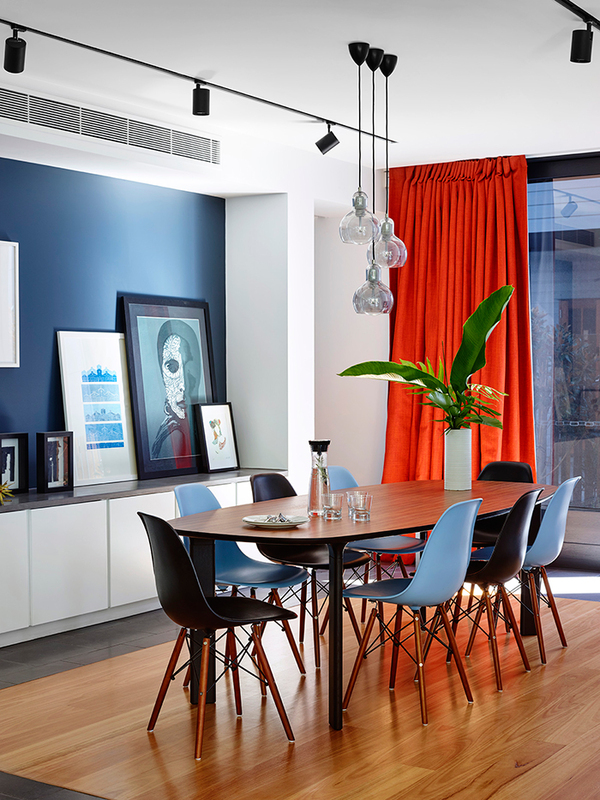 For this family, the almost-perfect opportunity came along in the form of a run-down home in West End; a savvy eye saw what it could become, and they grabbed it with both hands. “The family knew where they wanted to live, but couldn’t find anything they liked,” explains Cameron McDonald, director at MCD Construction. 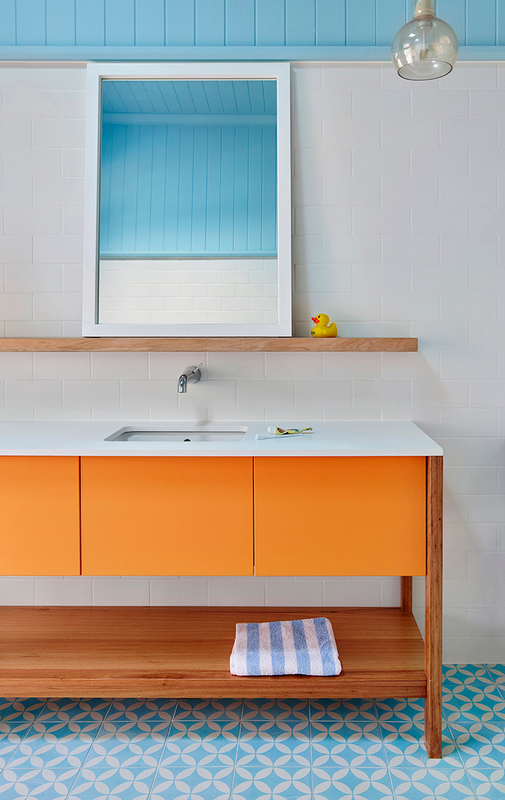 And so, alongside award-winning Brisbane architecture firm Marc&Co, the work began. 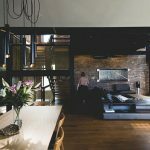 The goal was to create a home inspired by craft in both senses: the skill in making things by hand, and the skill in guile and well-intentioned deception. 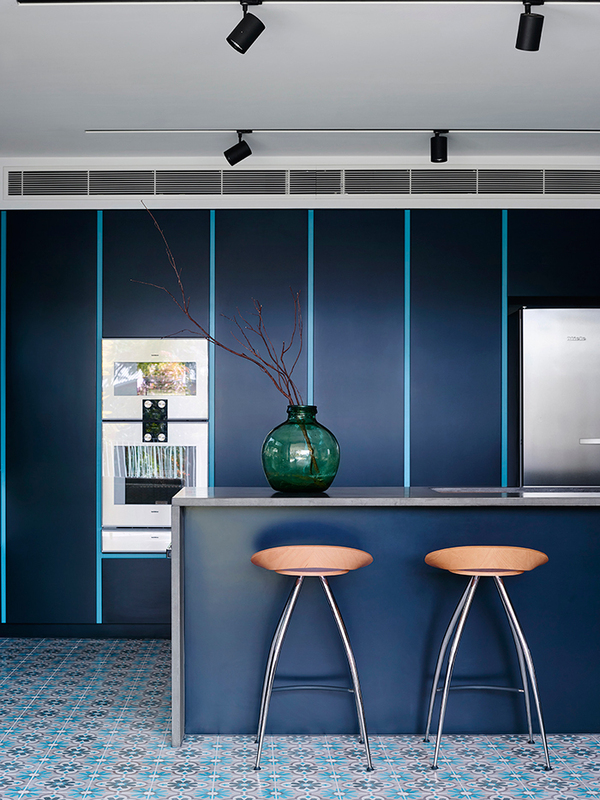 It was, according to Angus Munro (director of Marc&Co), always intended to be a “generational family home.” “Decisions were based on quality rather than value,” Angus explains of the home’s design, and it was crucial that quality workmanship plays its part in a well-crafted outcome. 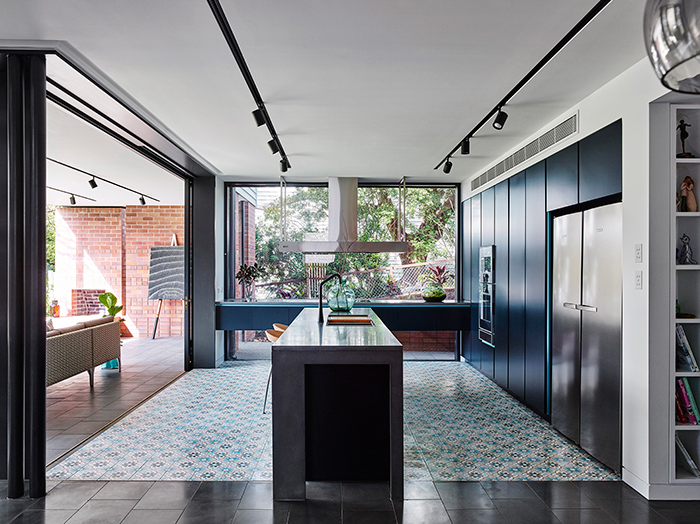 The dual-storey home relies on a sense of space, emphasising the difference between private and public living. 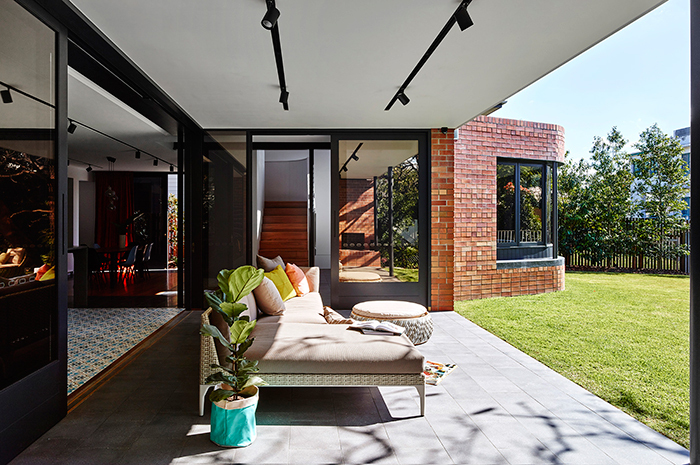 The traditional home, which now forms the upstairs portion of the building, contains the bedrooms and an added suite of living areas, opening directly onto the north-facing garden. Rather than extending out for the remaining public rooms, they were built under the existing home, maximising the garden space. It adopts an open plan design, though carefully- placed objects define the individual ‘rooms’, and flows seamlessly onto the new garden. 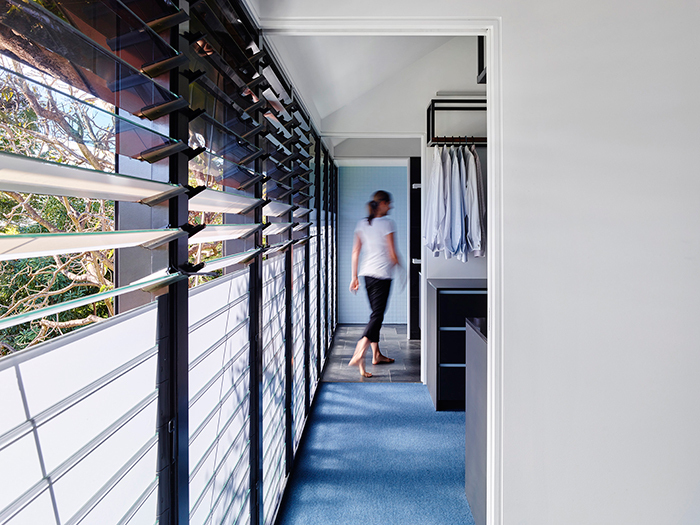 The nature of these two storeys is a nod to what Angus terms a “strict hierarchy of public and private spaces” – where the private is kept so, secure and separate from the thoroughfare of daily life. 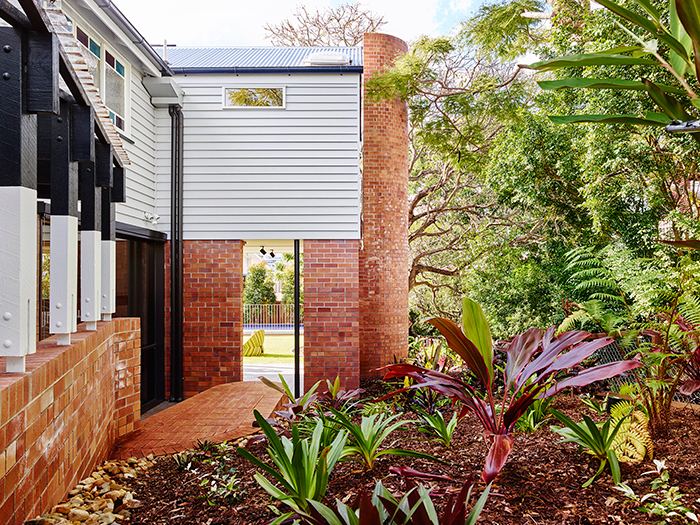 In a comforting juxtaposition, you’ll see spots of traditional Queensland dwelling amongst the sleek modernity of the new additions. Where bold tiles and moody hues steal the show, there’s a Federation arch leading into a bedroom; as the sunlight catches on slate tiles and blonde wooden floorboards, it casts its glow on vertical timber panelling, painted in a crisp white. 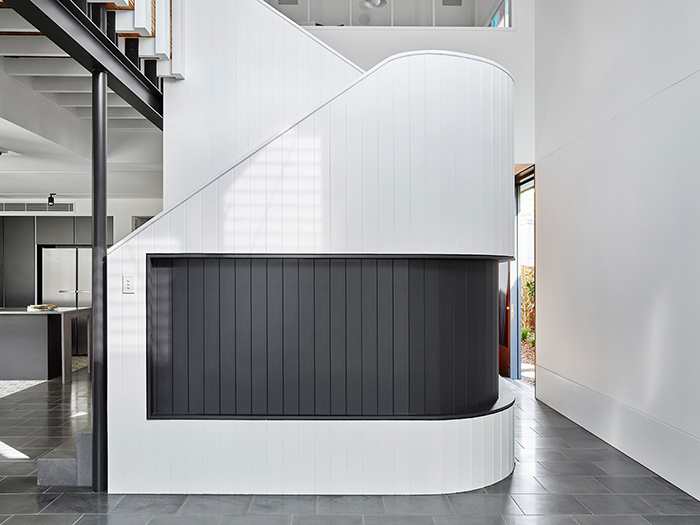 Behind this traditional scheme is a stunning curved staircase, possibly the most apparent marriage of old and new. 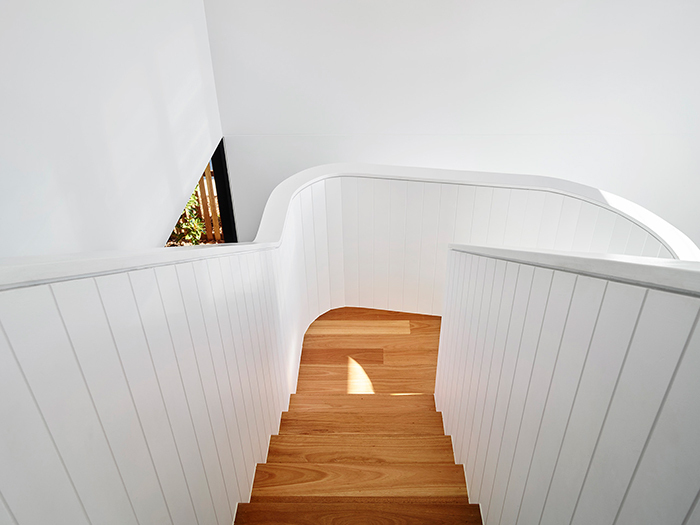 Rather than gilded stairs and ornate railing, its curves are almost geometric in fashion and exude modern Queenslander with every step. It’s this staircase which provided the biggest challenge, but is certainly the home’s focal point – the feature stonework and brickwork, stunning in its own right, pales in comparison to this beauty. The modern lifestyle continues: eco-friendly is a catchcry, shown through solar panels bedecking the entire north-facing roof and a 25,000-litre underground tank for garden maintenance. The colours are bright, patterns are luxe-kitsch, and everything, from light fittings to styling, borders on the side of quirk. The personality is evident, and it’s what makes this place a home amongst the glamour. 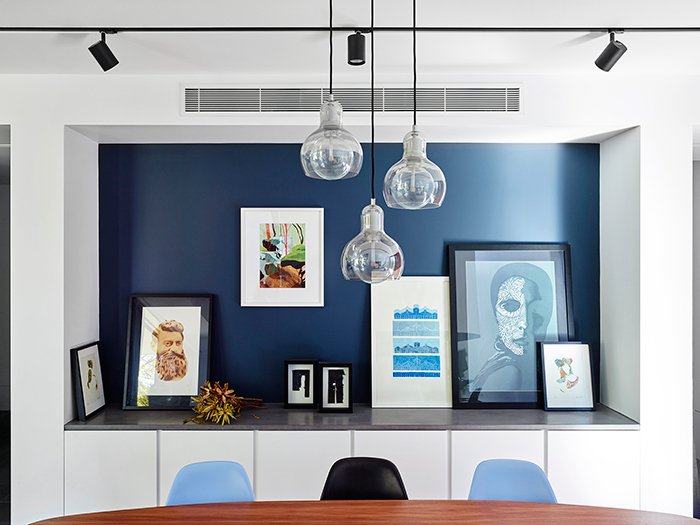 A West End home redesign inspired by craft.